Got scheduling questions? We’ve got answers in our new, easily accessible Help Center. 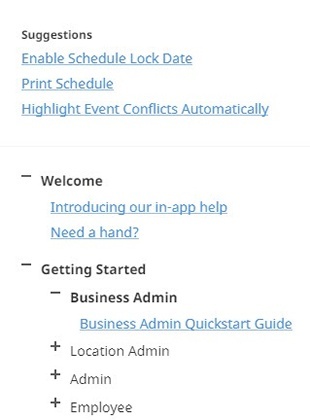 We’re updating the look of ouronline employee scheduling software, and we’ve got a new Help Center to match. Now you can find the answers to all of your shift scheduling and employee time clock questions in one convenient location. 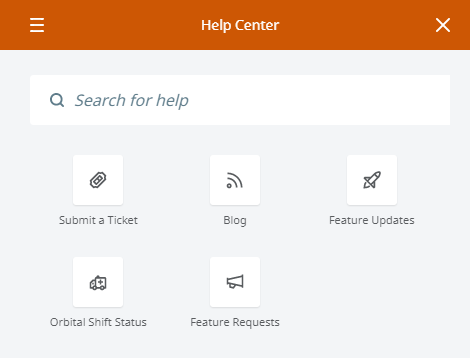 No more bouncing between different screens - all of the information you need is easily accessible through the orange ‘Help’ widget located on the right-hand side of the Orbital Shift employee scheduling dashboard. The new Help Center contains all Orbital Shift support documents, information on the latest feature updates and blog articles, and a search bar for easy navigation. Got a feature request? Now you can make suggestions for new shift scheduling, online time clock, and employee communication features right inside of the Help Center by clicking the megaphone icon. Still can’t find the answer to your questions? Click the paperclip icon within the Help Center to submit a ticket, and our client success reps will get back to you with an answer ASAP. Finally, all of your workforce management questions are answered in one easily accessible place.